Date: Dec 20 2018, 4:30 p.m. - 6 p.m. Mandatory Class required for all hunters. Hunters are required to take Hunter Safety. Please bring Certificate of Completion to Outdoor Recreation when obtaining Hunting Permit. 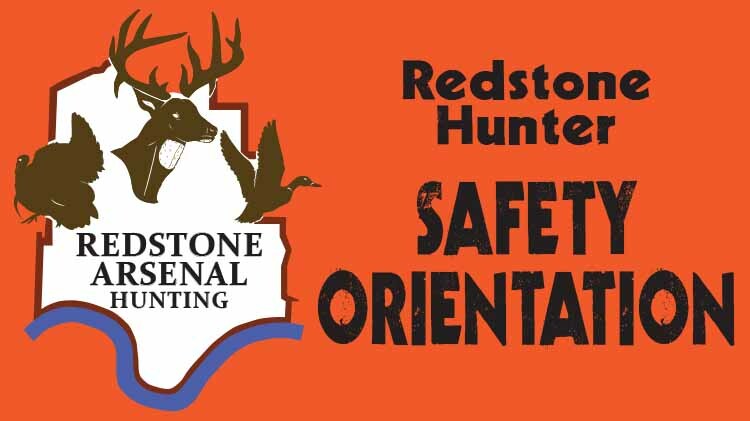 All persons who desire to hunt on Redstone Arsenal, must have completed a State- certified hunter education class. For more information, call (256)876-4868.